Scotland is a byword for scenic beauty, thanks to its soaring, heather-clad mountainsides, breath-taking lakes and rivers and savagely beautiful coastline. It is also synonymous with rugged independence, having been the scene of fierce conflict many times since the glens were first occupied by man 13,000 years ago after the last ice age. How did Scotland become part of the United Kingdom, and how would independence affect it? In September 2014, 700 years after the Scots’ glorious victory over the English at the Battle of Bannockburn, five million Scottish residents will vote on the question of whether their country should become the independent nation which many of them long for. 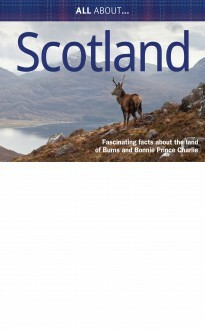 This book is packed with fascinating facts about Scotland, its savage past, its proud people and its stunning scenery and wildlife.